Are Your Kids Grown & Gone? 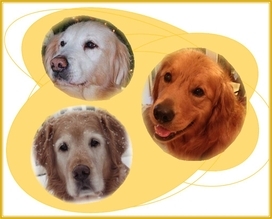 Is there room in your home and heart to foster a golden? ~ Fostering lets you have a dog on YOUR timetable! ~ You will be mentored by an experienced foster! Without fosters, we don't have a rescue! forms PART 1 & PART 2 below.